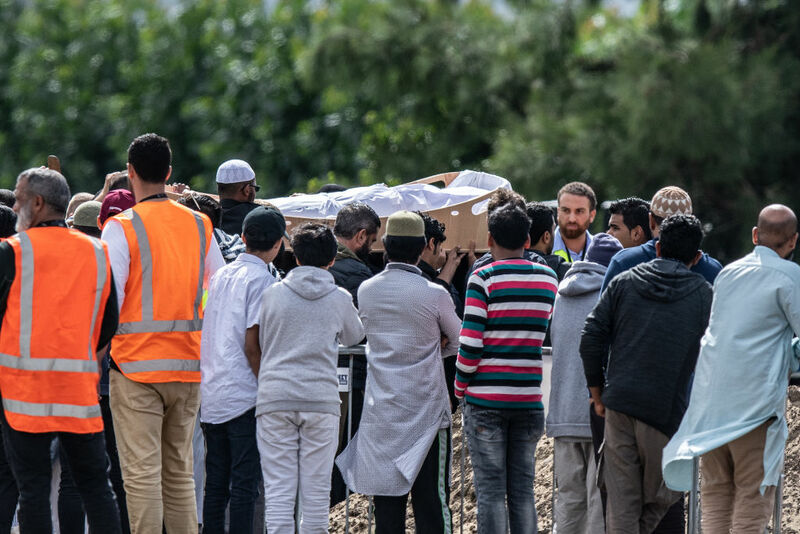 The first two people to be buried after last week's mosque attacks in Christchurch are a father and his son. Khaled Mustafa was 44 and Hamza Mustafa was 15. Hamza was a pupil at Cashmere High School and was compassionate and hard-working, according to the principal Mark Wilson. Hamza's younger brother Zaed (13) sustained gunshot wounds to the leg in the attack. In an update on Wednesday morning Police Commissioner Mike Bush said police had now formally identified and released the remains of 21 of those killed. Islamic tradition calls for bodies to be cleansed and buried as soon as possible. It is expected all of the victims of Friday's terror attacked will be laid to rest at the Linwood cemetery. Meanwhile, police have formally released the first five names of those killed in the shootings.